Looking for a Cotswolds holiday home sale is relatively easy. Just contact a real estate agent with listings for Cotswolds properties from modern homes to period structures as well as agricultural tracts, choose from among these properties and pay its price. Yes, it sounds simple on paper but the actual process is not as simple as it sounds. Keep in mind that you are spending for a substantial investment and, thus, you must carefully choose the real property before handing the cheque.You must then consider several factors of which the most important are discussed here. 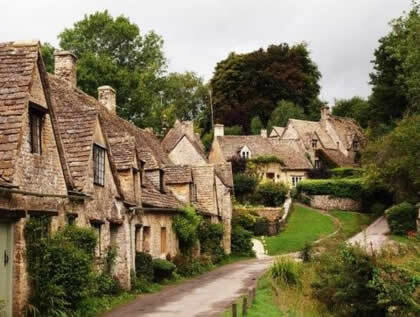 Cotswolds, England is an attractive place mainly because of its outstanding natural beauty of rolling countryside, lush farms and verdant woods. As such, it continues to attract buyers and investors from all across England and other countries in the United Kingdom as well as Europe. Even in the down economy, bargains are still far and few between. With that being said, we suggest shopping around for the best properties within your economic bracket without necessarily compromising on your desired architectural style, land acreage and number of rooms, among other aspects of the structure. You are bound to find a more affordable Cotswolds holiday home sale in the counties of Gloucestershire and Oxfordshire as well as in Wiltshire, Somerset, Warwickshire and Worcestershire. Then and now, the adage about location, location, location matters in looking for great real estate properties in Cotswolds, England. Premium is placed on properties with close proximity to mainline stations like Moreton, Kemble and Kingham simply because easy accessibility is desirable. This is also true for properties located in or near bustling market towns like Bourton-on-the-Water, Stow-on-the-Wold, Chipping Campden and Chipping Norton as well as cities like Cheltenham, Bath, Gloucester and Stroud. 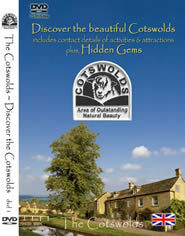 So, if you are on a tight budget, we suggest looking for a Cotswolds holiday home sale in a quiet village. You will be able to buy a larger property with the beautiful countryside as your backyard for the same amount as a significantly smaller property in Gloucester. However, even in choosing a country house, you must still think of location, location, location. Unless you want to live the life of a near-recluse while in Cotswolds, you will want a house located in or near the village. You can then enjoy charming and yet convenient facilities like the church, village hall, shops and pubs, among others. Indeed, buying a Cotswolds holiday home sale requires more careful planning but the rewards are well worth the time, effort and money poured into it. After all, how many people can proudly say that they live in beautiful house in England’s largest Area of Outstanding Natural Beauty?